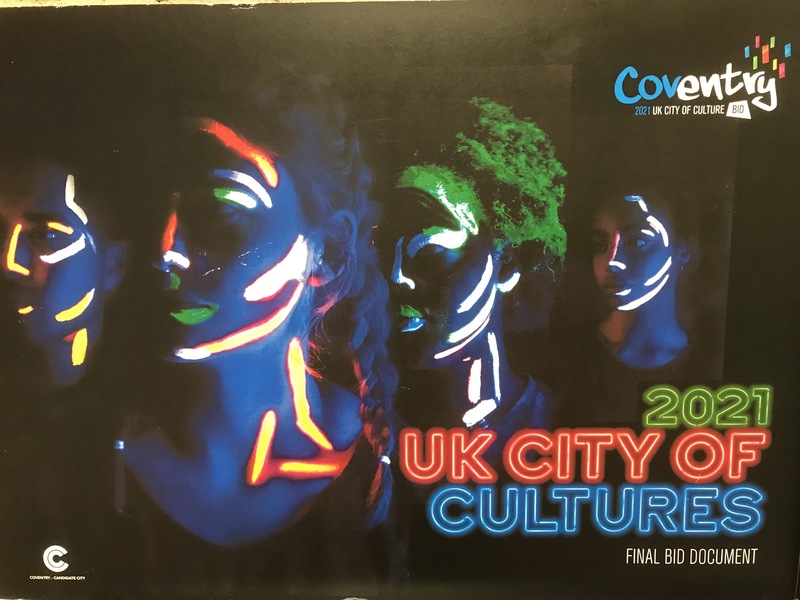 Culture Creativity Place has been advising Coventry since November 2014 on its journey to bid for UK City of Culture. In addition to the bid this has involved a new cultural strategy http://www.covculture.com the successful Cultural Destinations and Great Places awards totalling £2 million and work on tourism and audience research. A cultural capital plan for the LEP, and support to the City Council on sustainability of cultural organisations has helped build capacity in the city with significant new resources attracted and over 100 private sector partners involved in the City of Culture bid. The company has also supported a bid to the Great Town award of the Academy of Urbanism and given advice on hotel development and destination management planning.